VAT REIMBURSMENT – EASY AS 1-2-3! If you are a person residing outside the European Union (resident of the country that is not part of the EU), you have the right to a reimbursement on VAT from the goods you have purchased, if when leaving, you take with you the goods that you bought in the European Union. Shop in different shopping places across the world where there is a Tax Free service offered for tourists and let your trip become even more enjoyable. When paying for the goods in the shop, ask for a receipt from the seller. The purchased goods need to be taken out of the European Union unused. A) The purchased goods are placed in registered luggage. When leaving, and before check-in, go to the customs point to check the goods (it is located next to the passenger arrival door). Show your purchases, passport and receipt(s) to the customs authorities, and the export of the goods will be confirmed on the receipt. B) You will need to take the purchased goods in your cabin luggage. After the check-in and security check, contact the customs authorities to check your goods, by using the internal phone, which is there for this reason and is located in the area between gates 5 and 7. Show your purchases, passport and receipt(s) to the customs authorities, and the export of the goods will be confirmed on the receipt. Refunds are paid out at the CHANGE IT currency exchange point, which is located after the security check. When submitting the VAT reimbursement receipt(s) stamped with the customs stamp together with your passport to the staff, the money to be refunded will be put on your credit card or paid out in cash. 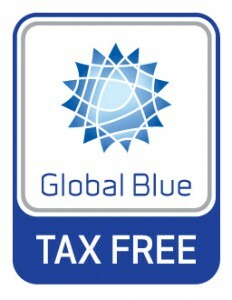 You can find a full list of all the refund places from the website www.global-blue.com.